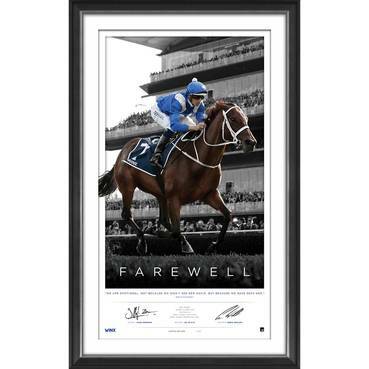 The ultimate tribute to Australia's greatest ever race horse. A range developed exclusively for the Australian market. Register your interest for priority access! OFFICIAL MEMORABILIA proudly boasts the most complete range of official sports and entertainment memorabilia and collectables… we have access to more stock and more athletes than anyone else in the market so you won’t miss out. Whether you’re looking to invest in a personally signed item from a global icon such as Lionel Messi, Cristiano Ronaldo or Michael Jordan, or perhaps you’re more passionate about an Australian legend such as Luke Hodge, Johnathan Thurston or Craig Lowndes… OFFICIAL MEMORABILIA is the place to be. OFFICIAL MEMORABILIA only stocks products where the authenticity is guaranteed, and we prove it. Every product offered is not only produced to the highest standard to protect your investment, you can purchase with the assurance that it is real, that it is authentic and that it has been manufactured under license with the express permission and endorsement of the sporting body and the athlete featured. Don’t risk your investment by going anywhere else. 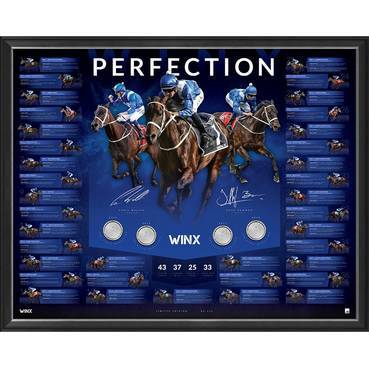 OFFICIAL MEMORABILIA is the only memorabilia and collectable retailer with Premier Stockist status from SE Products, the exclusive official licensee and distributor in this region.